This weekend, The L.A. Works program, along with hundreds of volunteers from the community were in Cypress Park cleaning up the neighborhood. They were painting and planting plants at three neighborhood schools, cleaned up graffiti from store-fronts. 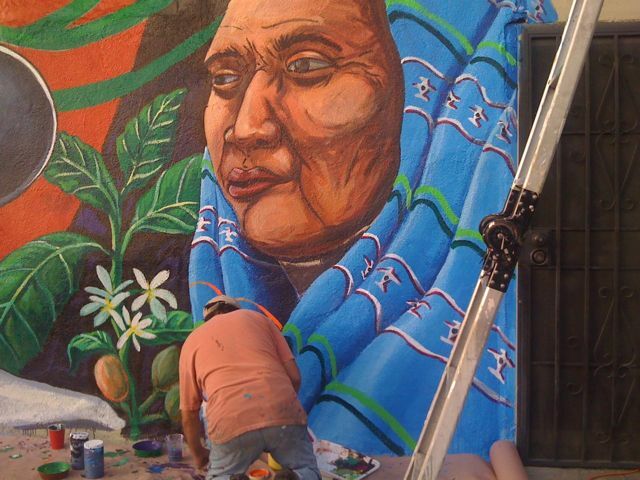 Artist Raul Gonzalez, Ana Castillo, who’s art work is currently on exhibit inside Antigua, and Carlos Callejo were also commissioned to paint a mural at Antigua, receiving help from other artist and volunteers as they painted the wall this weekend.